Barely a few months old, Barashi-Tei at Middle Road is already making friends with their regulars. Its setup is very simple and homely, similar to those along Mohammad Sultan Road. For starters, we had 2 salads. 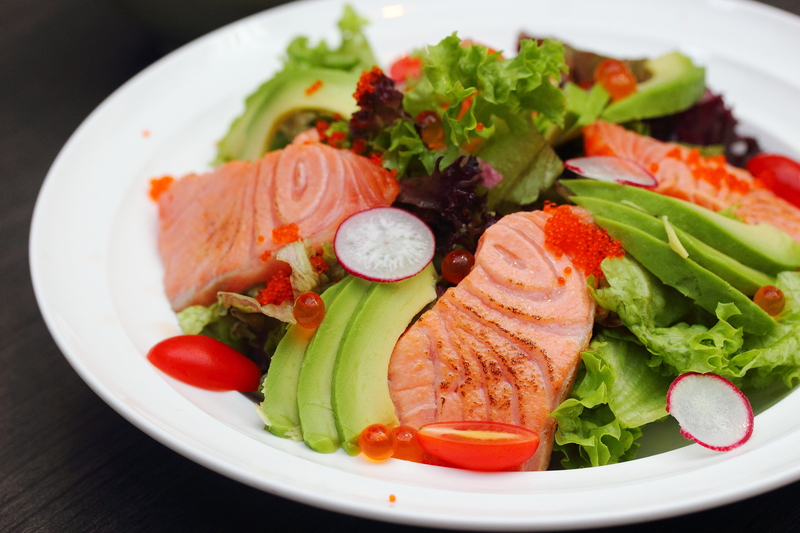 Sashimi salad ($13.80) is always a refreshing start but the combination of smoky aburi salmon and buttery avocado of the Avocado Salmon Salad ($13.80) makes the latter more satisfying. For some small bites, we had Wasabi Ebi ($7.80) which is deep fried and Kuruma Ebi ($7.80) which is pan fried. The Ebi were fresh and bouncy, which were quite tasty even on their own. The dressings were a little too thick and saucy for me. 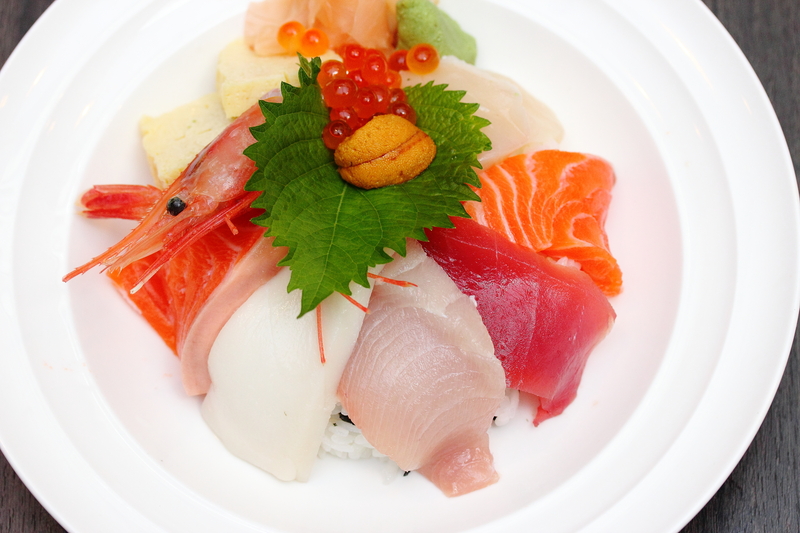 We had 2 dons - Salmon and Chirashi ($23.00). 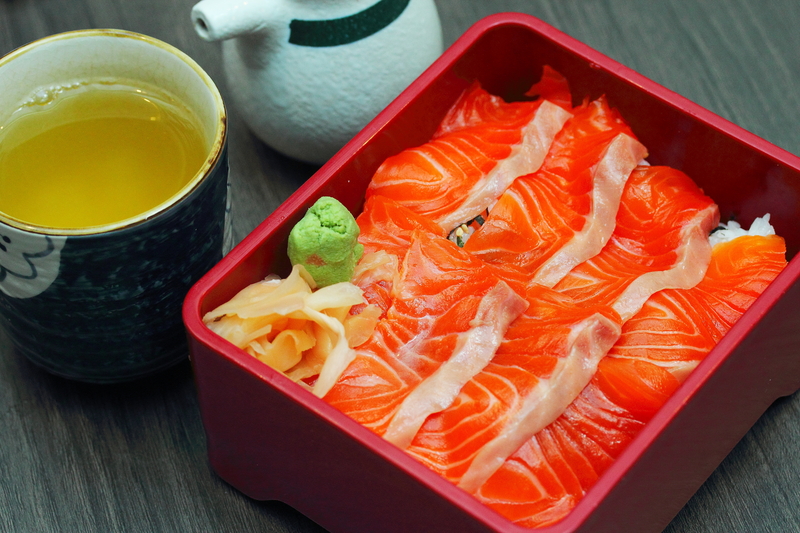 The Sake Jyu ($16.80) left me dissatisfied with its thin salmon slices. On the other hand, the Chirashi saved the day with its chunkier sashimi and I enjoyed every bit of the melt-in-your-mouth sensation and buttery texture of the fresh sashimi. We tried 3 of their maki which don't differ much in taste. 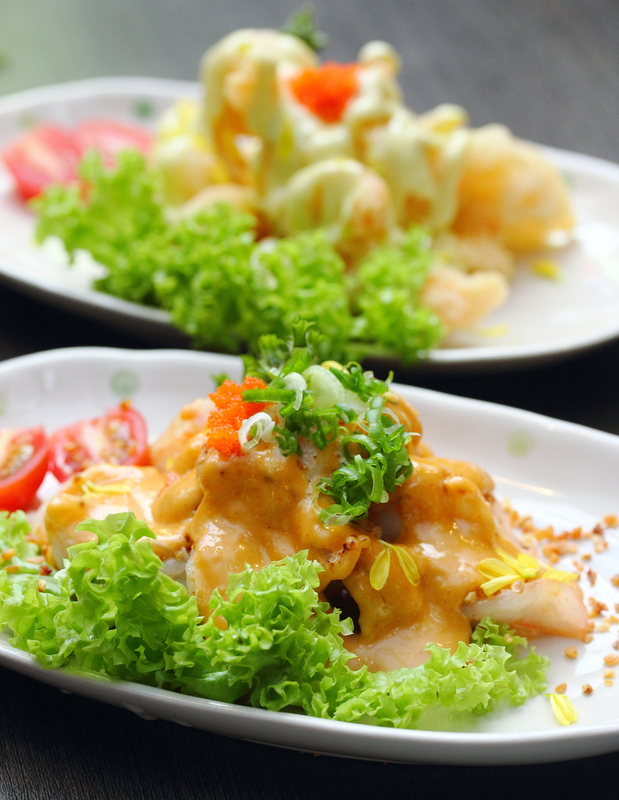 All 3 of them used fried ebi as the key ingredient and same sauce for dressing. 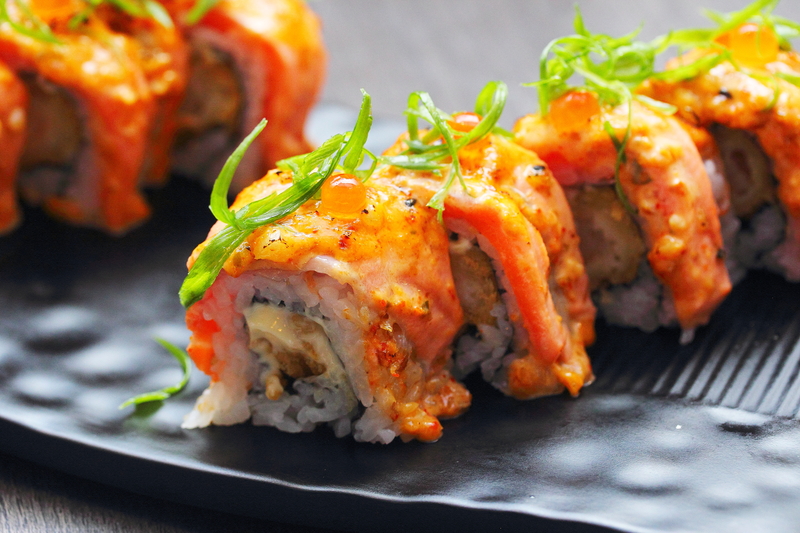 Between Dragon ($8.80) and Spicy Salmon ($12.80), you may just opt for one, depending whether you prefer avocado or salmon. 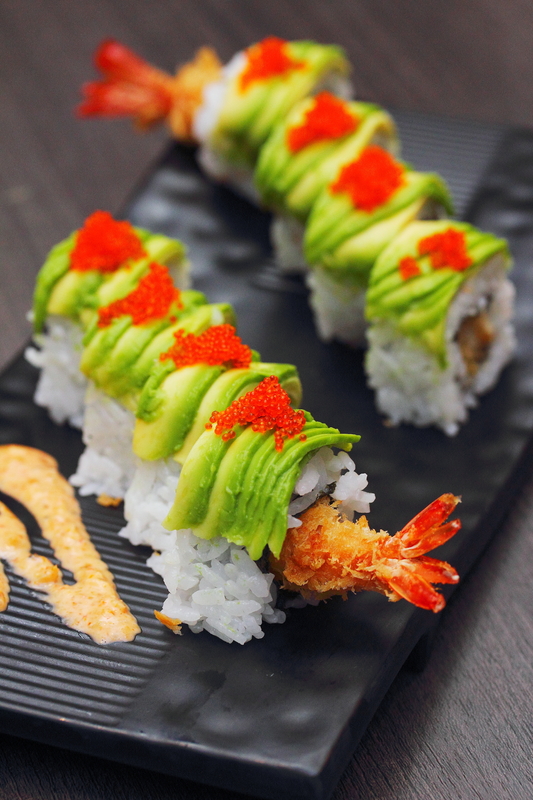 The fried ebi was well done with succulent shrimp centre and paired well with both avocado and aburi salmon. 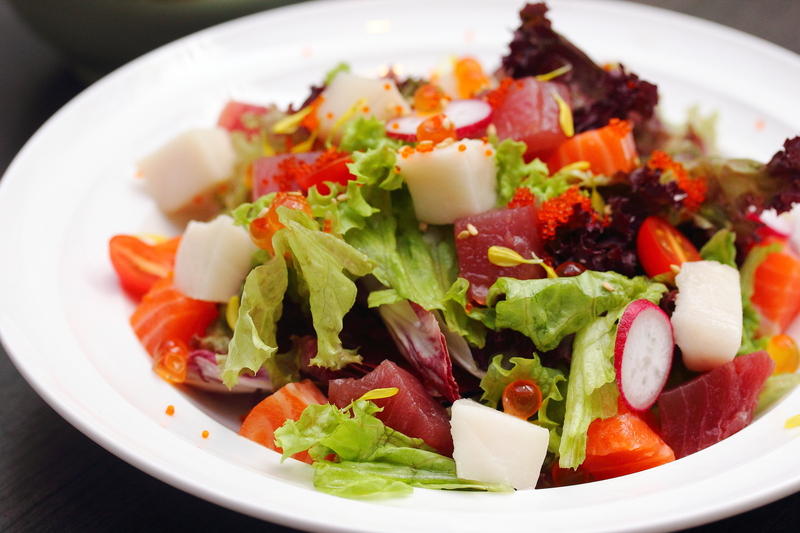 The spicy dressing makes the dishes interesting but can be a little overwhelming when there is too much of it. 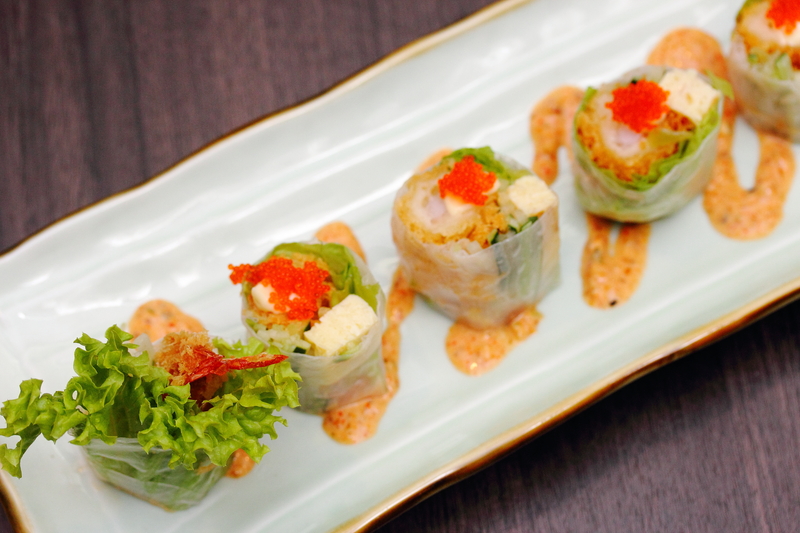 As for Rice Paper Ebi Maki ($12.80) which is created for customers who are afraid of carbs, didn't work for me at all. The thin rice paper fails to hold the dry ingredients together and one might be better off eating each ingredient separately. 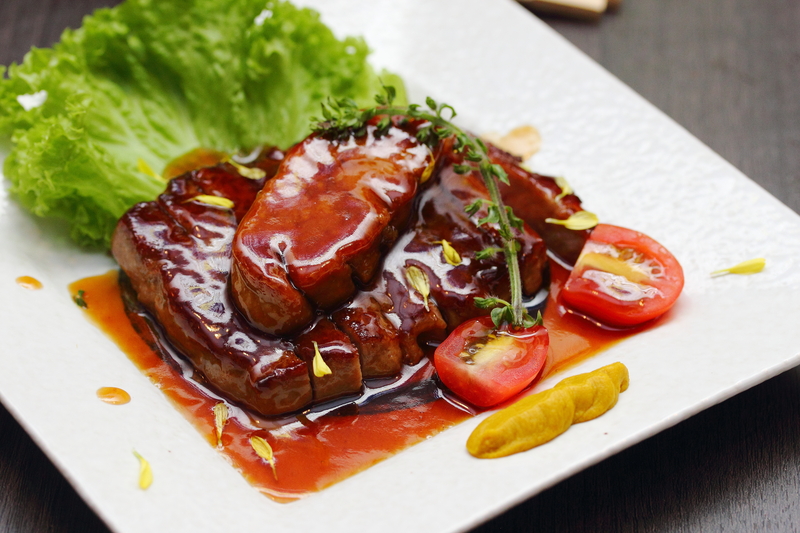 Their Sirloin Steak Foie Gras ($19.80) is quite notable. I thought the presentation could be improved, as it certainly tastes better than it looks. 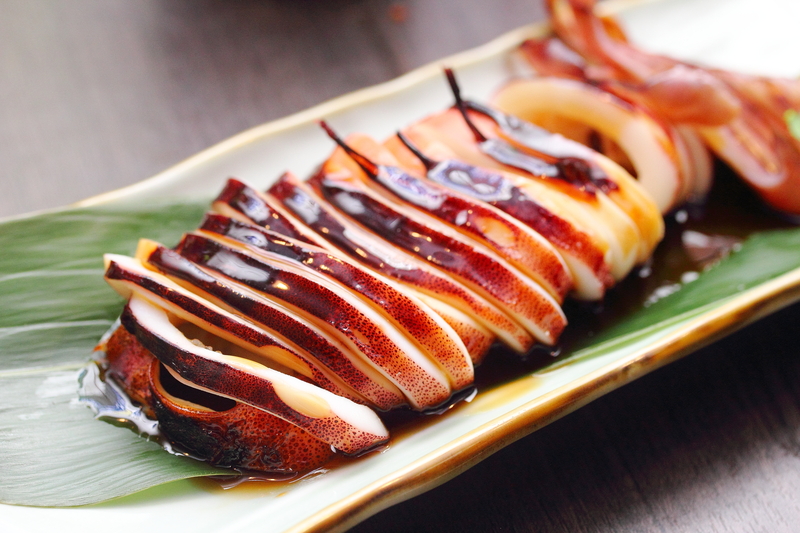 Some dishes great for sharing over beers and sakaes would be Sanma Shioyaki ($6.80) and Ika Teriyaki ($13.80). 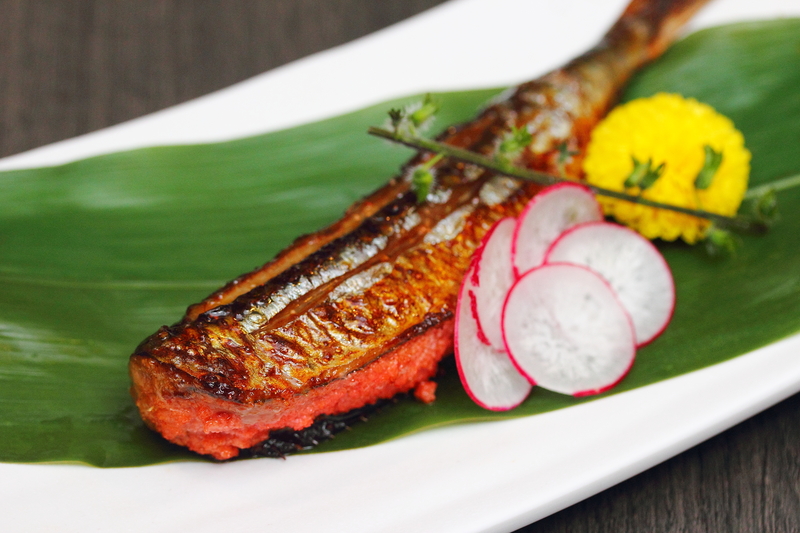 From my understanding, sanma is one of the most well-known seasonal fish representing autumn in Japanese cuisine. Perhaps it is the novelty of eating it, I enjoyed savouring it bit by bit. The Ika was kind of tough, I was expecting to be softer and chewier. 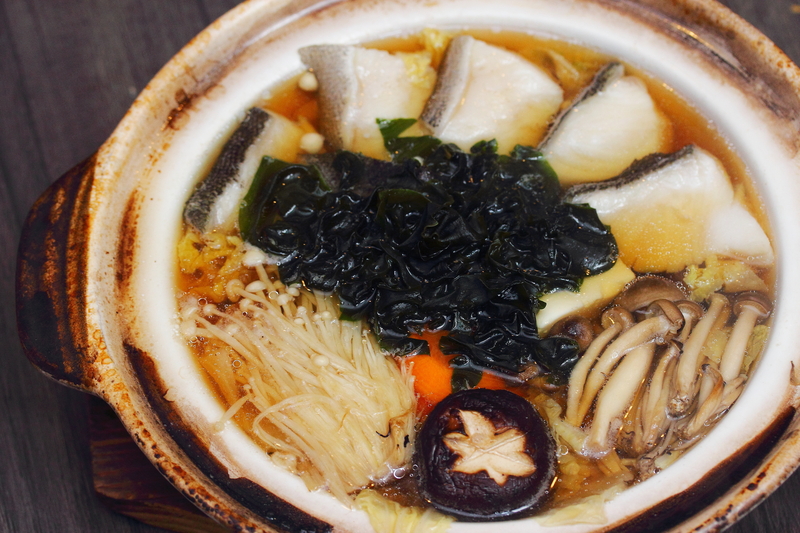 I can imagine having their Gindara Nabe ($24.00) on a cold rainy evening. The broth, together with all the wholesome ingredients offer the comfort that I need after a long day. It definitely helps to clear my palate for the dessert. 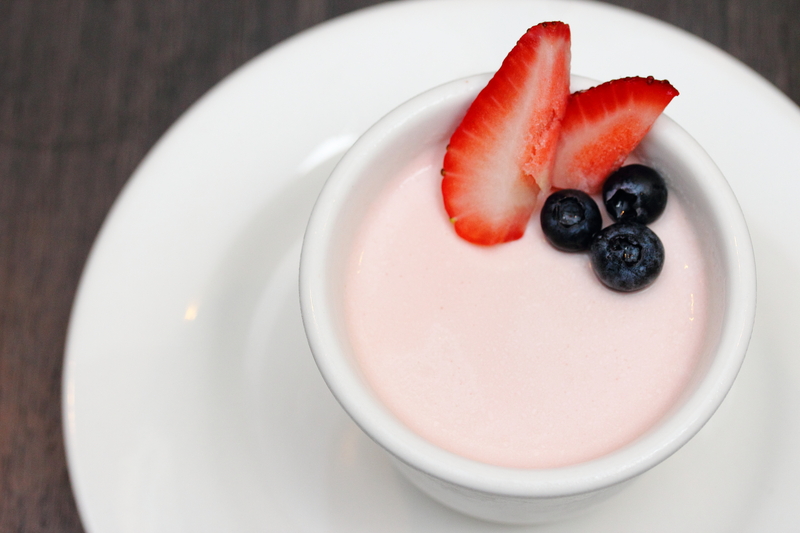 We ended the evening with their strawberry mousse. Not anything fancy but good enough to sweeten my evening. The quality of Barashi-Tei is really quite impressive and definitely wins those chain Japanese restaurants in malls that charge exorbitant prices for pathetic amounts. What are being offered seem authentic too, which is not a surprise given that the chef was trained under a veteran Japanese chef for 10 years. 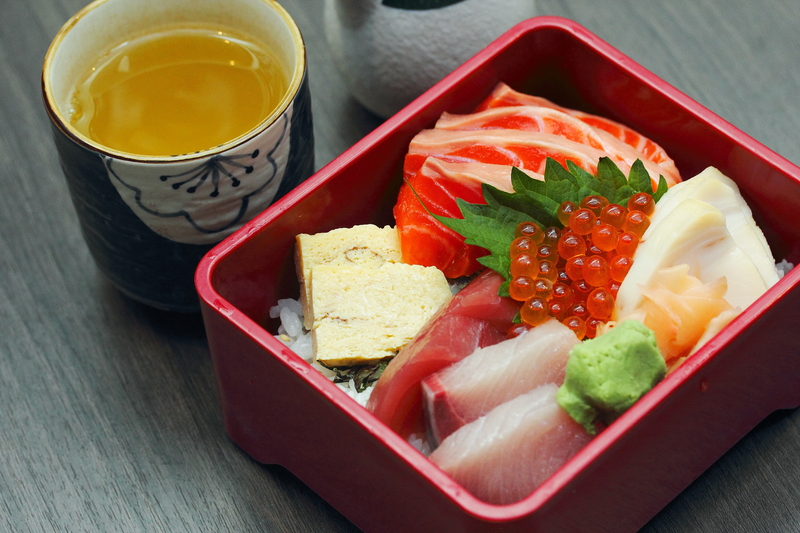 For a fuss-free dining experience and affordable Japanese cuisine, Barashi-Tei is a good option if you are in the vicinity.